I’m sure this was amazing! I love pork so much it hurts. My husband will go nuts for this!!! Mexican is a favorite for us as well, we have a casserole that he requests at least every other week. This one I”m really eager to try!!! Thank you!! I’m so psyched to find a recipe for pulled-pork/carnitas that doesn’t rely on a slow-cooker! I bet the leftover pork is even better ;). So yummy looking. Love the cumin. we LOVE mexican food and eat is almost daily..perfect canitas!! 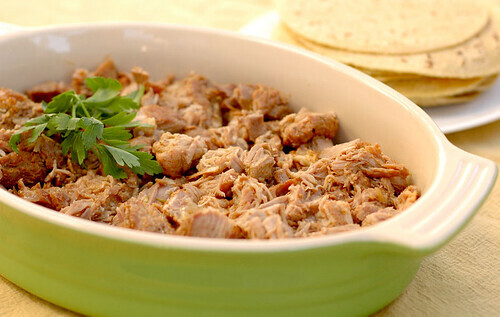 Carnitas are one of my favorites, too; your husband must be an incredibly intelligent man! And these looks fantastic! This sounds amazingly delicious! And photo..oh my, it’s perfect!